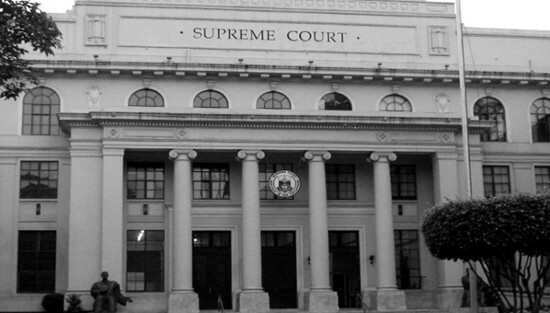 Although there is no constitutional or statutory provision mandating it, the historical tradition in the Philippines is that the most senior associate justice of the Supreme Court is next in line as chief justice. This tradition, however, is not akin to a hard and fast rule, as the historical record reveals. During the Japanese Occupation of the Philippines (1942-1945), the Executive Commission appointed Jose Yulo chief justice. Four other associate justices were appointed to serve in the Yulo Court, including Manuel Moran, who was the most senior associate justice of the Supreme Court under the ousted Commonwealth of the Philippines. In fine, Yulo's appointment as chief justice by-passed Moran, and it was in breach of the foregoing judicial tradition. He was also an outsider inasmuch as he was never an associate justice of the Supreme Court. At any rate, the appointment of Chief Justice Yulo did not create any stir since the country was undergoing extra-ordinarily unusual times. Philippine presidents beginning from Manuel Roxas until Diosdado Macapagal honored the judicial tradition by appointing the most senior associate justice of the Supreme Court the chief justice whenever a vacancy arises in the said office. President Ferdinand Marcos honored the judicial tradition four times—once during his first term (1965-1969), once during his second term (1969-1973), and twice during his extended term under martial law (1973-1981). More specifically, Marcos appointed Chief Justice Roberto Concepcion in 1966; Chief Justice Querube Makalintal in 1973; Chief Justice Fred Ruiz Castro in 1976; and Chief Justice Enrique M. Fernando in 1979. Chief Justice Concepcion administered the oath of office to President Marcos in December 1969, while Chief Justice Fernando did the honor in June 1981. Fernando was particularly close to Marcos since they were contemporaries in the University of the Philippines (UP) College of Law. Under the original text of the 1973 Constitution, a justice of the Supreme Court must retire upon reaching the age of 65 (it was 70 under the 1935 Constitution). Thus, Chief Justice Fernando was due to retire in July 1980. Chief Justice Fernando's retirement plans, however, were postponed when in early 1980, the 1973 Constitution was amended anew, this time restoring the compulsory retirement age of 70 for all judges and justices provided in the 1935 Constitution. A difficulty for President Marcos arose in July 1985. Chief Justice Fernando was due for compulsory retirement, and the most senior associate justice of the Supreme Court was Claudio Teehankee. The ties between President Marcos and Justice Teehankee go back a long way. Even before Marcos won the presidency in 1965, Teehankee was Marcos's legal counsel and adviser. In 1968, Marcos appointed Teehankee associate justice of the Supreme Court. Their close relationship soured in April 1973 when the validity of the 1973 Constitution was challenged in the Supreme Court. Teehankee was among four justices who voted against the validity of the new charter. Since then, Teehankee became the anti-administration vote in the Supreme Court whenever the validity of the official acts of the Marcos regime were challenged in the high tribunal. If the judicial tradition were to be observed, President Marcos should appoint Teehankee chief justice upon the retirement of Chief Justice Fernando. Although Chief Justice Fernando did not always rule in favor of the Marcos administration (he was a staunch advocate of judicial review of authoritarian measures), Marcos was comfortable with Fernando at the helm of the judiciary—a coordinate branch of the national government. With Fernando as the chief justice and former Chief Justice Querube Makalintal as the head of the Interim Batasang Pambansa, Marcos had both the judiciary and the legislature on friendly terms with him. President Marcos's advisers stressed that appointing Teehankee chief justice will create the specter of a hostile judiciary. Indeed, Marcos was not keen on a Teehankee Court. Thus, upon the retirement of Chief Justice Fernando, President Marcos by-passed Justice Teehankee and appointed Teehankee's next-in-line, Justice Felix Makasiar, chief justice. Like Castro and Fernando before him, Makasiar was a Marcos appointee to the Supreme Court. He was also the strongman's solicitor general before his judicial appointment. Because Makasiar's appointment as chief justice breached the judicial tradition, anti-Marcos politicians quickly denounced Makasiar's appointment as an affront to the independence of the judiciary. When Chief Justice Makasiar retired in November 1985, President Marcos again by-passed Justice Teehankee and appointed Teehankee's next-in-line, Ramon Aquino chief justice. Like what happened earlier, anti-Marcos politicians denounced the Aquino appointment. Teehankee finally became chief justice in 1986 when Mrs. Corazon Cojuangco Aquino appointed him to the post days after seizing power. President Gloria Macapagal Arroyo also breached the judicial tradition when she appointed Artemio Panganiban chief justice, succeeding the pro-Aquino Chief Justice Hilario Davide, Jr. She by-passed Reynato Puno, who was the most senior associate justice at the time Davide retired. Puno was more senior to Corona. President Arroyo breached the tradition once more when, upon the retirement of Chief Justice Puno, she appointed Renato Corona chief justice, by-passing Antonio Carpio, who was the most senior associate justice. When Mrs. Aquino's only son, Benigno Aquino III assumed the presidency in 2010, he was staunchly anti-Marcos. As president, Aquino III loved to recall what he considered as abuses committed by President Marcos during the latter's incumbency. He also disdained President Arroyo. In 2012, after Chief Justice Corona was removed from office by the Senate sitting as an impeachment court, Aquino III appointed one of the most junior justices in the Supreme Court, Maria Lourdes Sereno, chief justice. Aquino III appointed Sereno associate justice in 2010. By the time Sereno became chief justice, she had been in the judiciary for just two years. Sereno's appointment as chief justice was as shocking as it was unprecedented. Aside from by-passing several justices who were her senior, Sereno's appointment made her the first female chief justice of the Supreme Court. Evidently, Aquino III not only breached the judicial tradition; he politicized the appointment process for justices of the Supreme Court. In doing so, Benigno Aquino III had become, among others, another Ferdinand Marcos.